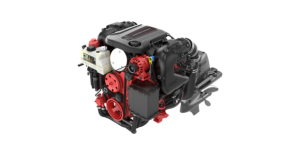 Volvo Penta Aquamatic Sterndrive V6-200/SX is a totally integrated package, powered by the 6-cylinder, 4.3-liter, freshwater-cooled, direct-injected gasoline engine. Working together with the perfectly matched SX single-prop drive, this package offers high acceleration power. 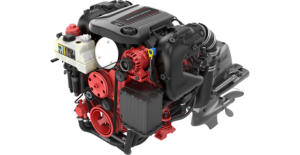 Volvo Penta Aquamatic Sterndrive V6-280/SX is a totally integrated package, powered by the 6-cylinder, 4.3-liter, freshwater-cooled, direct-injected gasoline engine. Working together with the perfectly matched SX single-prop drive, this package offers high acceleration power.